Choose either the small beach close to the fishing boats dock of Panormos village, or the larger a little further to the west. 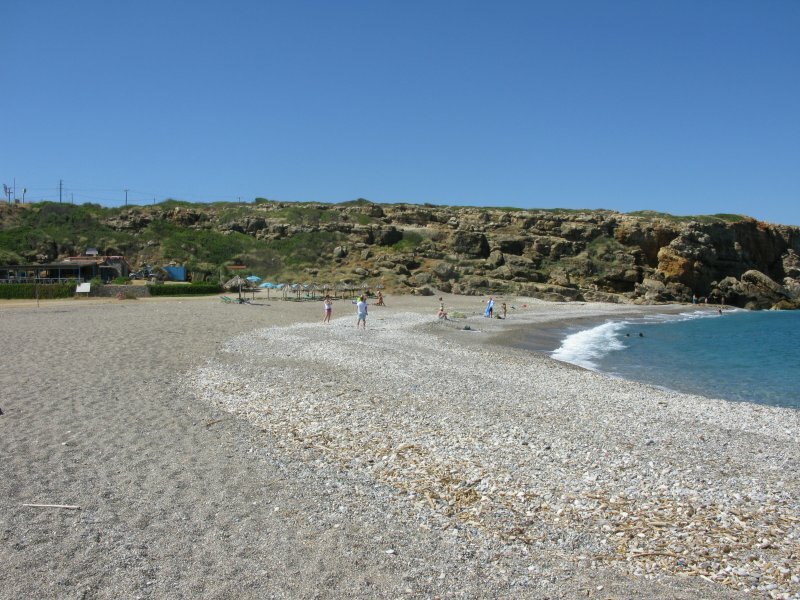 Driving from Rethymnon to Heralkion, after about 25 kilometers watch out for the sings to enter into the fish village of Panormos. 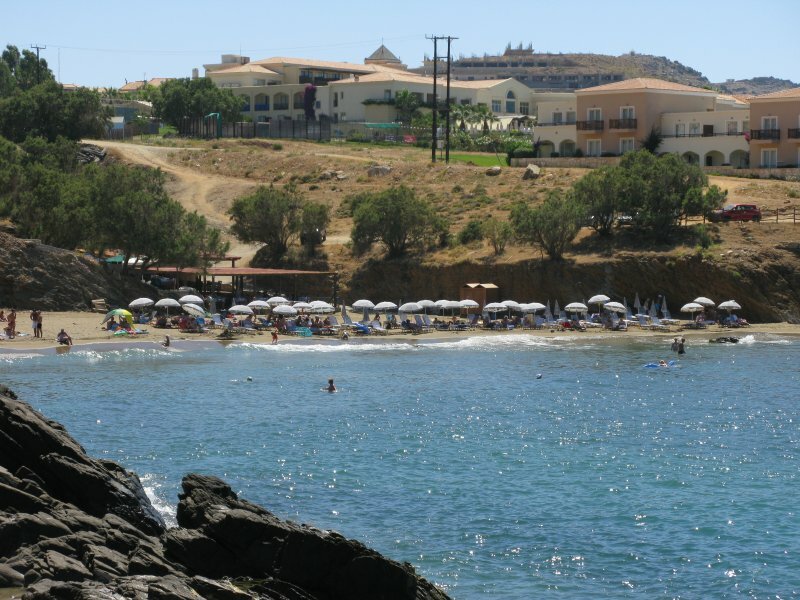 The village was in the ancient times the harbour for the towns of Axos and Eleftherna. Nowadays, it has been largely developed for tourism. The beach, which extends over a natural gulf, is sandy with shallow waters and organised for tourists. You can enjoy traditional food here and mainly fresh fish, with a panoramic view from above to the sea that extends in front of you. 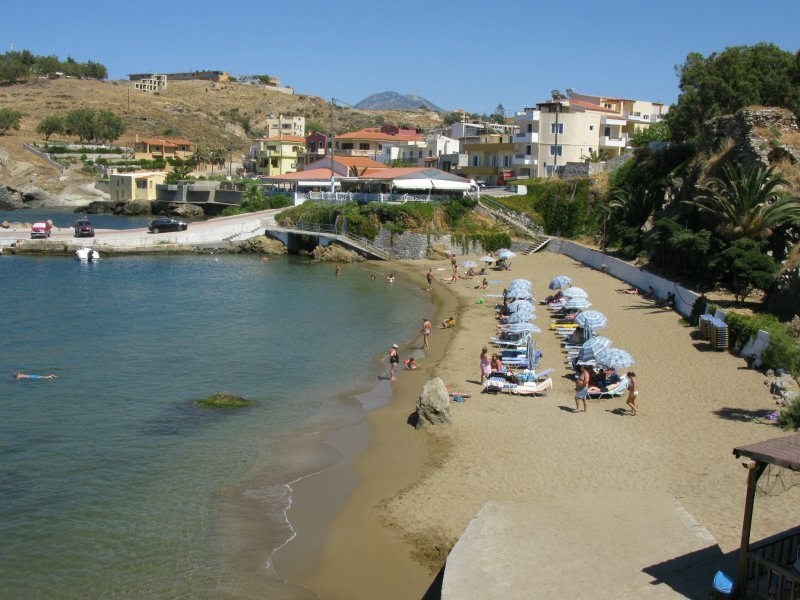 Further to the west, less than 500m, there is the larger beach of Panormo which is also well organised for tourists. 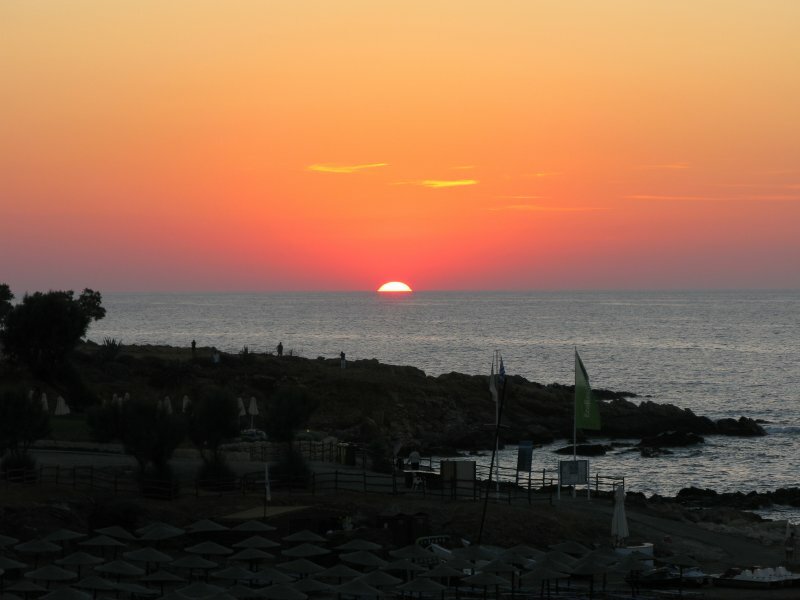 Another nearby beach is the Geropotamos beach, which is 5 kilometers before Panormos. 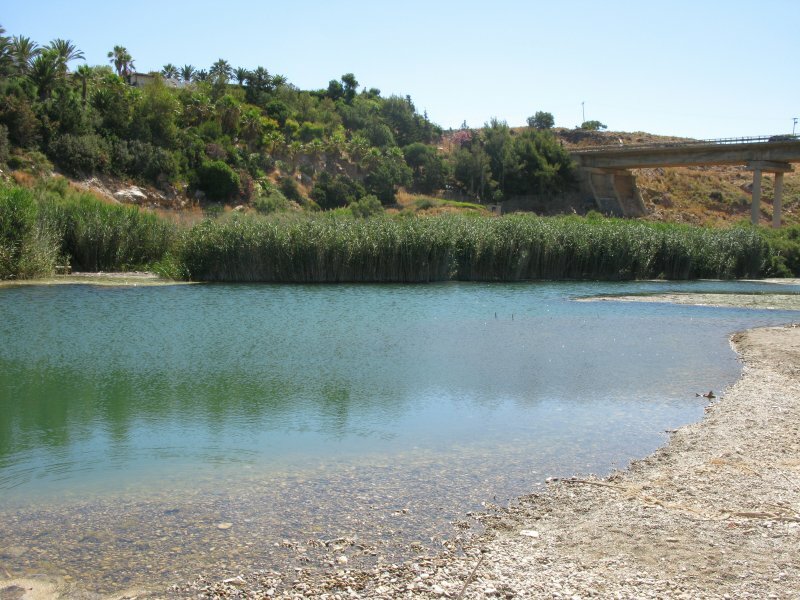 Here the river Geropotamos flows into the sea. It is an organised beach with umbrellas, sunbeds and also a canteen.